Corsair's Neutron Series NX500 SSDs were launched in August of this year, and immediately took the title of 'fastest SSD that Corsair had ever made'. That's quite some claim considering the Fremont, CA-based component manufacturer had in the recent past released market-leading drives, and clearly is enough to make anyone immediately sit up an take notice. Unlike many competing models, the NX500 is available only in PCI-Express AIC form factors. 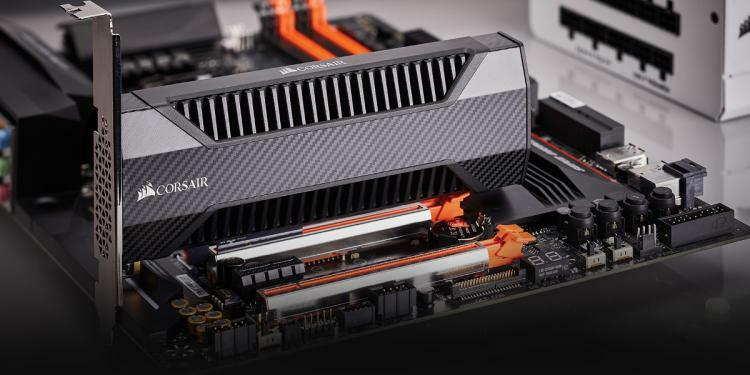 The precise reasons for this haven't been revealed, but what we do know is that cooling these toasty drives can be a challenge in the restrictive M.2 form factor, plus an AIC naturally provides more space for NAND chips. As a result you can have larger capacities running at higher speeds, which is ideal for high performance SSDs. The Series launched with 400GB and 800GB models, and now the 1.6TB behemoth is available. Frankly, that's larger than some mechanical drives, and dwarfs even most affordable consumer 2.5" SSD that use the SATA 3 interface. As with previous models the drive comes as a PCIe AIC with large heatsink, although a half-height bracket is available if the drive is to be installed in particularly compact PC chassis. The interface is PCI-Express x4, but it will also comfortably fit in unused PCI-E x16 slots. The drive is likely to be absolutely ideal for use with uncompressed video editing, which thrives on both capacity and storage bandwidth. Backed by a 5-year manufacturer warranty, the 1.6TB NX500 is priced at US $1575/€1770/£1615. For more information visit the product page.